The Rock Talks features 5 experts each presenting TedX style in a merged room presentation. 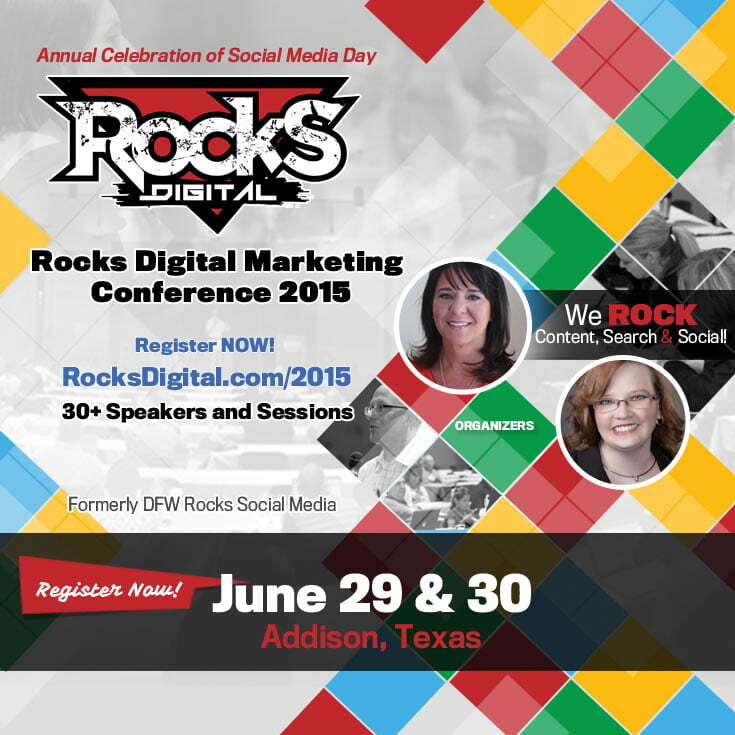 You’ll be joined by all the conference attendees for this high-energy, high-impact presentation. 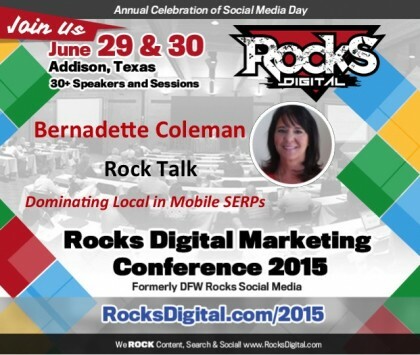 Learn from Bernadette Coleman in two sessions: How to dominate local SEO in mobile SERP and on the Women Leading in Local Panel. Joe Youngblood's work involves anticipating search engine changes and developing holistic strategies to capitalize on them. He will be presenting on "The SEO Mindset" in a special Rocks Talk session at Rocks Digital 2015. Jerod Morris has spent almost a decade working in online media strategy, production and marketing. He will be sharing his experience on Content and Connection at Rocks Digital 2015. Lissa Duty, will be presenting "ROCKING Real-Time Community Management" on June 29 and moderating the Rocks Digital Marketing Q & A Panel on June 30. Candy Barone, known as the “Pull-No-Punches” Account- ability Powerhouse, is a coach, professional speaker & published author. 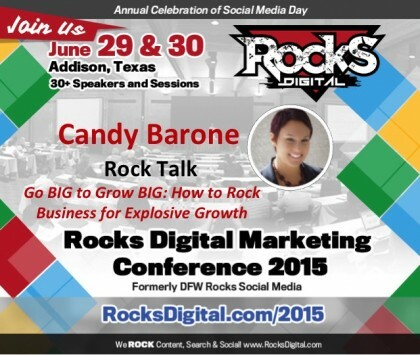 She will be presenting during the special "Rock Talks" session on June 29.